Vintage car market has only a limited number of customers as not all people are interested in the vehicles from bygone eras. To draw their attention to your new vintage car business thus becomes increasingly difficult. You need to come out with unique marketing tactics. Are you interested in setting up a vintage car business such as a car dealership? If so, then know that it is a niche industry. This means that your audience will be much smaller as compared to the greater number of consumers you get in selling modern cars. So, a key to conducting a successful vintage car business is to make it more visible to your specific set of customers. A reason for people showing interest in vintage cars is that they like to visit a bygone era. In fact, we all like to go back in time to cherish some golden moments in our personal or collective history. You should play up on the nostalgia aspect so that a specific group of clients can notice your business of selling vintage cars. There is already a huge market for all classical things such as wine, stamps, coins, paintings, and many more items. Classic cars are one of the hot favorite vehicles for those who have some interest in vehicles from the past. Many of them buy classic vehicles from investment angle too. To market your vintage car business, you must plan something new to draw the attention of your niche customers. Make sure that you change your strategy regularly to address new marketing challenges. 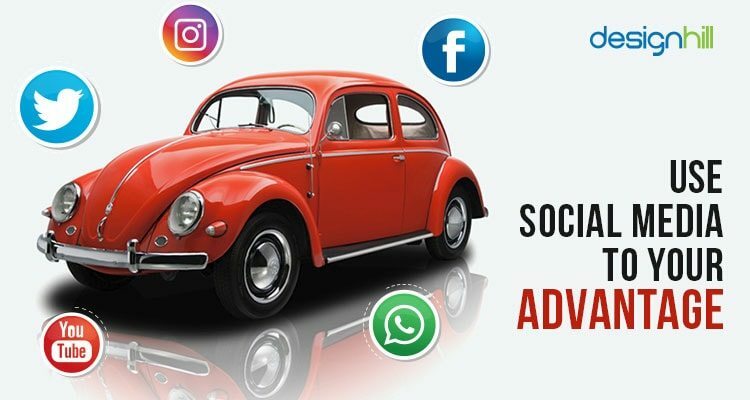 One of the most effective ways to spread awareness about your vintage car dealership is to inform your audience about it on social media. Almost everyone is on Twitter, Facebook, LinkedIn and other channels for an updated information on their topic of interest. people start making queries about the type of cars you sell. Later, you will find that a good presence of your business on social channel is driving a major part of your sales. Create your social pages on all the major social channels. Your page will receive followers and ‘likes’ from the audience. Put relevant information about your vintage cars regularly on your social pages. Make your social media page look unique and impressive. The pages must also be user-friendly, meaning that they should be loadable and easy to navigate the information. Put attractive images of your classic cars along with the description on your pages. Looking for a automotive design? If you are in a vintage car business, its logo can play a pivotal role in enhancing your reach in your niche market. A logo symbolically represents a business in a market. But more than that, a powerful logo design has the potential to draw customers’ attention. 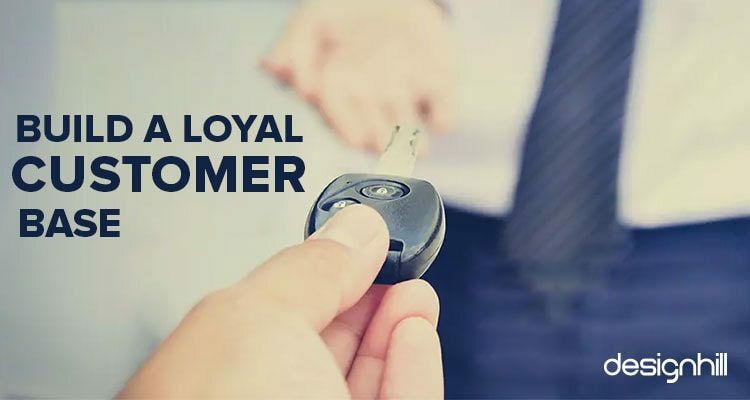 Moreover, if your car dealership’s logo is a remarkable design, it can even turn the audience into customers. People tend to think of a business highly if they get a good first impression upon seeing its logo. So, make sure that your vintage car logo is a unique and memorable design so that it stands out in the crowd. A cost-effective way to access the number of vintage car logo design ideas is to crowdsource your logo work to graphic design sites. 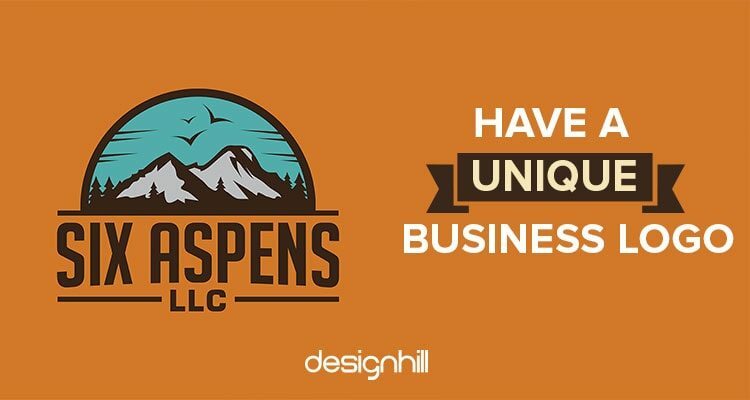 Designhill is a leading marketplace where hundreds of professional logo designers await logo design briefs from business owners. You will shortly get your car logo at a very low price. Word of mouth publicity matters a lot for startups whose marketing budget is small. Generally, people think of buying those products that family members or friends recommend. So, request your dear ones in the family, friend circles and neighbours to spread a word about your collection of vintage cars. This may look a small marketing tactic. 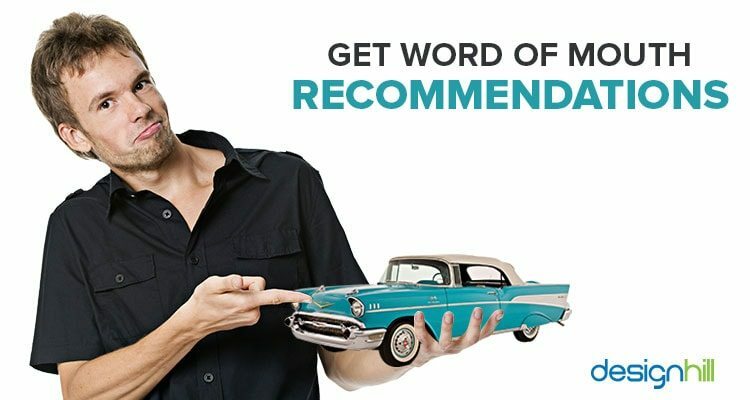 But over the time, many of your customers will buy your cars due to recommendations from their peers. When you meet your friends or potential clients, give them your contact details of the company. You can do this in a professional way by offering them your business card. The card should be an impressive design. It must have your logo and contact details such as phone number and email address. 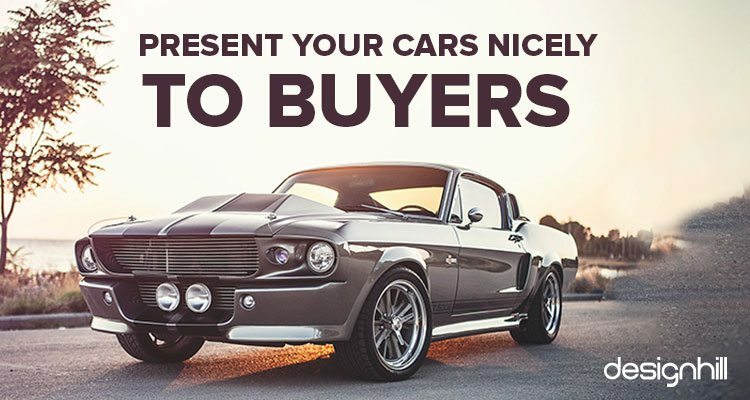 When they buy your classic car for the first time, build a relationship by sending them emails, thanking them for purchasing your cars. Greet them on their birthdays and other occasions. Send them print t-shirt as gift. These consumers will then spread a word of mouth for your business. One of the proven tactics is to offer them some useful gifts or promotional gifts as a way of thanking them for buying from your collection of vintage cars. A majority of your potential clients first make an extensive search online for places selling classic cars. 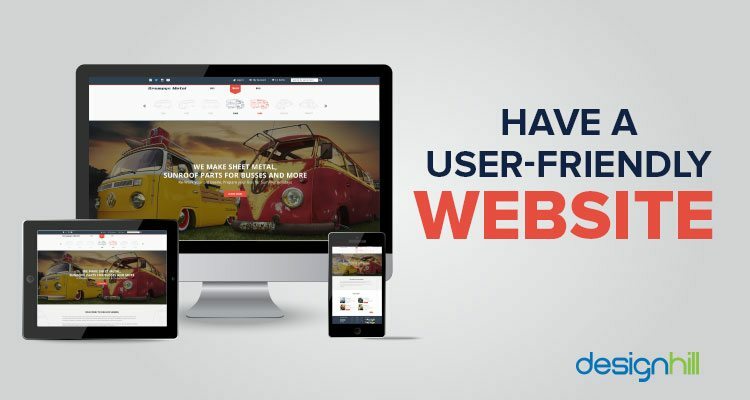 They look for websites that display vintage cars and give a lot of relevant information. As they visit one such website, they want to look at images of cars from your collection for a visual comparison. Then they would like to get a detailed description about the cars. In fact, people will gauge the seriousness of your vintage car business by first taking a good look at your vintage car website. Create a professional vintage car website design that has a compilation of car images. It must also have an updated information such as era of your vintage car, source of your car collection, and prices. Provide your customers with all the relevant information on web pages. Users should be able to navigate all of your website from all the pages. Marketing is all about drawing the attention of customers toward a product or service and entice them with attractive offers. This is true also for vintage cars. People will not buy your cars just because they come from a classic era. They will inspect your car for its cleanliness, shine, and overall an impressive look. So, make sure that your car is nicely cleaned and polished from inside and outside before you show it to your customers.You must also pay attention to the parking place for your cars. Park your cars in an appealing area, so that features of cars stand out. This gives them confidence in making a right purchasing decision. People love cars from bygone eras for their nostalgic value, aesthetics and styles that do not exist anymore in the same way. 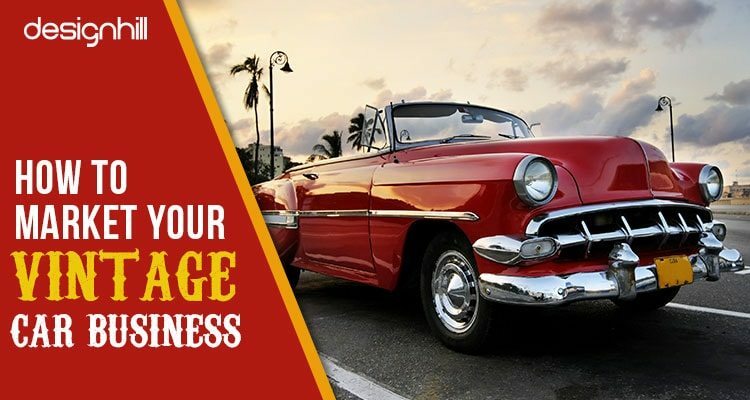 Your classic car business will thrive if you personally develop a keen interest in the style, aesthetics and technology of those eras.But you need to market your vintage cars thoughtfully. Pay attention specially to creating a visual brand identity of your business using your car business logo, website, social media as well as other means such as launching an inspirational vintage t-shirts campaign for your business promotion.